Today, March 21st, marked the first full day of spring for 2018, the season "officially" began yesterday at 12:15 PM in NYC, but you would never know it from our weather, as I mentioned in yesterday's blog post. 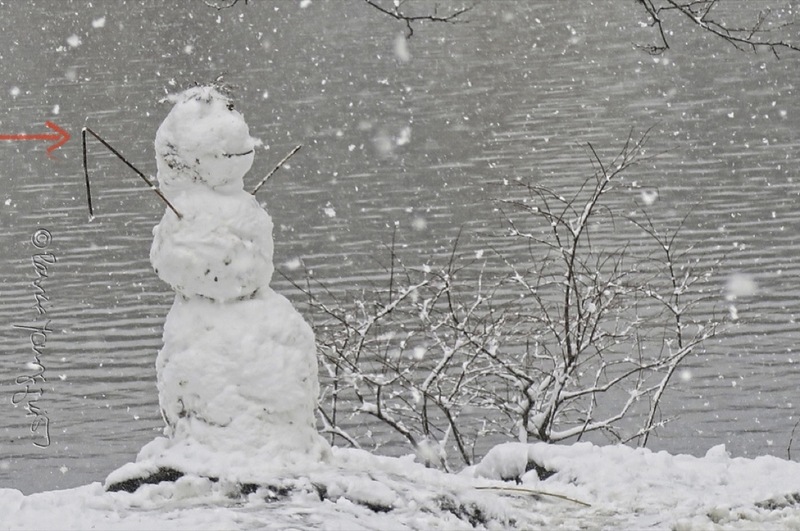 And today, on our first full day of spring for the 2018 season, we are having our fourth nor'Easter since the new year began (a newspaper article re the event can be found by clicking here). 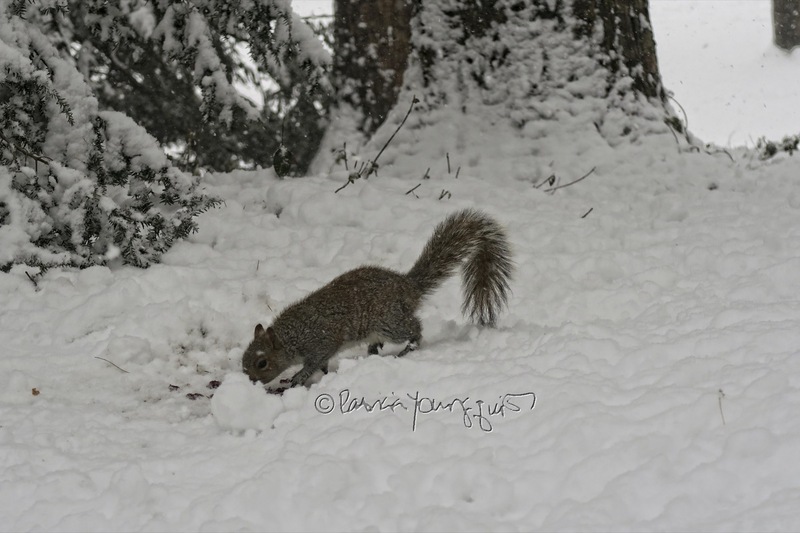 However, in spite of the inclement weather, I took a walk within nearby Central Park, and came upon a lone black squirrel (pictured directly above) nibbling on an abandoned snowball. On another side of the park, towards the lake, I came upon a snow-person holding a fishing pole. The creation can be seen in the next picture (where the pole is indicated by a red arrow that I affixed to my photo). 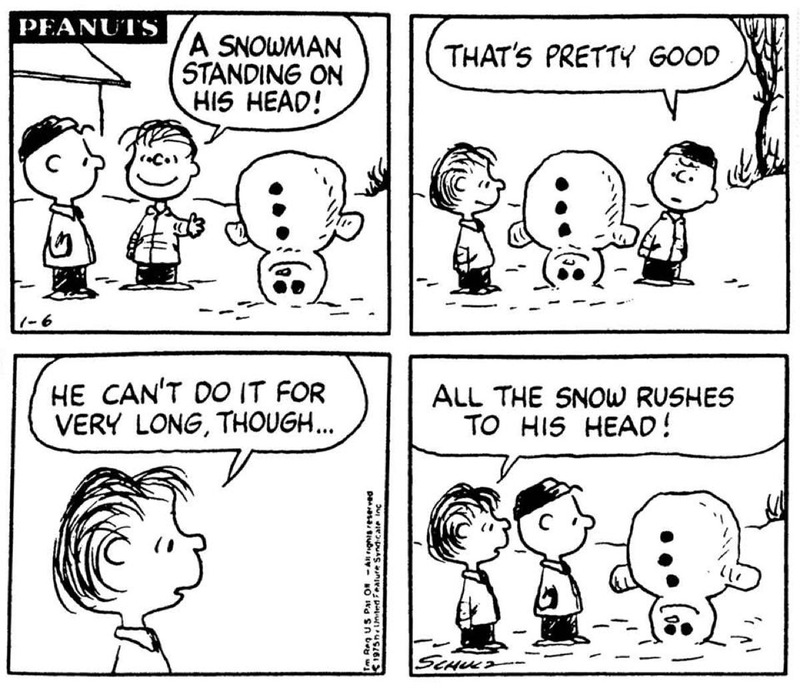 Upon my seeing this snow creature, I recalled a Peanuts comic strip in which Linus had created a snowman standing on his head (and I've posted a copy of the strip directly below). 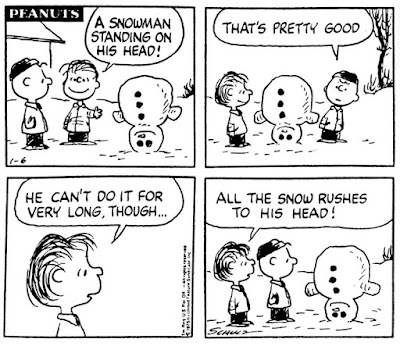 This strip was published 1-6-1975.